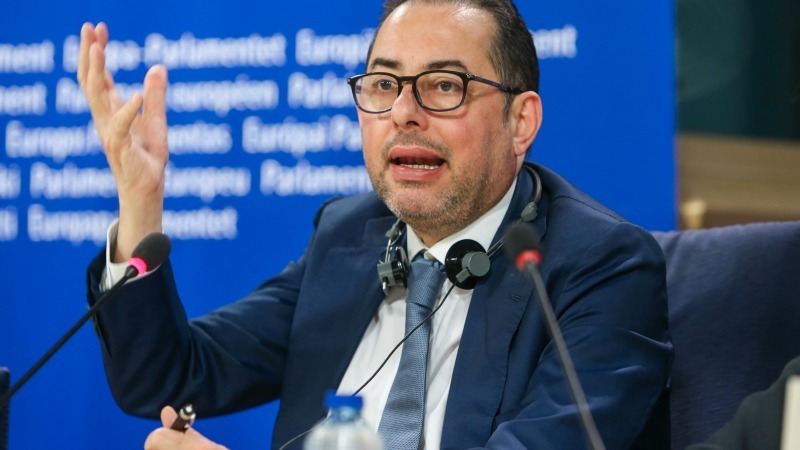 Gianni Pittella is the Socialists & Democrats (S&D) group chief in the European Parliament. He was recently nominated as the S&D candidate for the presidency of the European Parliament. What is the main reason for your candidacy? The legislative cooperation [between the S&D and EPP] is over. Regardless the outcome of this election, there is no chance of restoring it. As president of the Parliament, I want to open a new phase where all groups, small and big ones, will have equal dignity and equal rights in shaping the decisions of the house. As president of the EU Parliament, I will increase the transparency and the democracy of the decision-making process. I will be the president of all MEPs, the guarantor of pluralism among the political groups. Only through authentic debates and lively political confrontations will the Parliament and all its fellow members be able to fully address the concrete problems of our citizens. The European Parliament’s visibility has drastically improved in recent times. Now it is time to improve the visibility of every MEP, especially in their own constituencies. Every citizen must be aware of the great work carried out by their representatives in Brussels. Inclusiveness and open dialogue with other groups: this is a huge change from the time of G5 dinners and legislative cooperation. The so-called G5 meetings and the legislative cooperation were the pillars of a very exceptional political phase. This phase has come to an end. Since 2014, Europe has dramatically changed and we cannot turn a blind eye: the Greek crisis, the migration challenge, the UK referendum and a string of elections are changing the political landscape in Europe and around the world. We need to fully learn the lessons of such changes. Let’s open up to society. Let’s open up to people, to their fears, their hopes and requests. We cannot lock ourselves up in a kind of fortress as the European People’s Party is obsessively proposing, out of fear of being wiped out by radical forces. We don’t want to live under siege from the people. This is the European Parliament, representing half a billion European citizens. Debating, questioning and political confrontation are the pillars of democracy and the only way to reach shared compromises and concrete solutions to improve people’s live. What impact will the end of legislative cooperation have on the European Commission? Let’s not create confusion. Our cooperation with Jean-Claude Juncker’s Commission will always be constructive. If Juncker is serious in changing Europe, my Parliament will be his best ally. I am confident about our cooperation. Which political groups do you hope you will get support from? Those who know me are aware that my door is always open for dialogue with all political forces, except of course the xenophobes. In my actions, I have shown my preference for team play over taking decisions alone. As the new president, I will be a “leader among equals”, ready to listen and work together with everyone. All political groups, bar the xenophobes, every single MEP will be the protagonist in the legislative process and in bringing about a new season of change. I sincerely hope that my major competitor, Antonio Tajani, will not accept the possible support of the extremists of the Europe of Nations and Freedom (ENF) group. To be honest I so far have not heard a clear stance on this crucial issue from Tajani. However, I do believe he shares the idea that it would be very dangerous if the next president of the European Parliament were to be elected thanks to votes from Le Pen or Salvini. What is your vision of Europe for the coming years? Europe is falling apart due to a kind of permanent state of stalemate. The selfishness of some member states in the Council is often the cause of this stalemate. We experienced this with the migration crisis and the financial transaction tax. European citizens cannot pay the price for the Council’s ineptitude and inaction. We should have some common priorities. First, more growth and investment. EFSI 2 (the European Fund for Strategic Investment) is a positive but certainly insufficient measure to boost the economy. The funds should really be doubled to take us beyond the blind and harmful austerity imposed by Schäuble and his friends. We support the recent recommendation of the Commission for the eurozone to adopt a more expansionary fiscal policy. EU institutions should not be ‘big on big issues and small on small issues’. The social agenda, the Energy Union, the Youth Guarantee scheme, sustainable development and climate change will be considered as ‘big issues’ in my Parliament. So proper attention will be paid to them. We want to increase energy efficiency by 40% by 2030 while increasing the share of renewable energies by 30%. The Emissions Trading System (ETS) should also be revised and we absolutely must change the current legislation in order to make it impossible to evade and alter emissions data, as the Dieselgate case clearly showed. As president, I will firmly insist that Juncker change the code of conduct for Commissioners to avoid new cases like Barroso and Kroes. These two have already undermined the image and the credibility of the EU institutions. This must change, hand in hand with bigger efforts on transparency and the fight against tax fraud and tax evasion in Europe. On this, the European Commission is significantly delivering. We should, however, insist for a European list of tax havens and sanctions for those who help companies hide their money in these jurisdictions. We also want to ensure that taxes are paid where profits are generated. What about the Brexit negotiations? In my view, the EU Parliament should also push for a fair Brexit, a win-win relationship between the new EU and the UK. A last comment on the migration crisis? On the migration crisis, the Parliament has already expressed its overwhelming position: the need for common European action based on solidarity and shared responsibility. The same responsibility and commitment I will call on to make African countries real partners for Europe, based on investment, democracy, and human rights. A radical change is needed here. My candidacy is for change, changing this European Union to save Europe. All groups will be equal apart from the ones he disagrees with ? !, he still doesn’t get it does he.